Some years choosing a favourite game from GamesCom is easy, like the first time I got a chance to see The Witcher 2: Assassin of Kings...but this isn't one of those years. Instead, there are two titles which stand neck and neck as my favourite games from the entire line-up and dozens of games I saw demonstrated or went hands-on with. First up, Dishonored. You should know about this game by now, but on the assumption you’ve been living in stealth mode for the last 12 months I’ll recap as quickly as I can. It’s a mission-based tale of vengeance set in a fantasy world where you're framed for regicide and set out to get even. 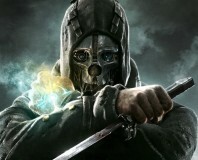 Exploration and expression are the core of the game, with the hero, Corvo, bestowed with mystical powers to achieve his aim. It's also worth mentioning that Dishonored is being developed by the team behind Dark Messiah of Might and Magic, is based on work by the artist who designed Half-Life 2's City 17 and is designed by one of the men responsible for Thief and System Shock. It is kind of a big deal. The skill I had the most fun with was the Blink ability, however, which lets you teleport short distances in a stylish instant. I don’t want to drop any spoilers for the mission I played through, but suffice it to say that breaking into the mark’s house was made both more interesting and more expressive by the ability to launch from rooftop to rooftop. I actually played the start of the level multiple times, exploring different ways to breach the mansion in question using just the Blink and possession skills. Nor was the Blink skill the only facet of Corvo’s arsenal I delighted in experimenting with. One of the other highlights was a device called The Heart – a mechanically augmented heart which lights up nearby items and which whispers insane esoterica as it does so. It’s a device that’s weird, haunting and instantly memorable, even if the constant signposting of the environment is my one complaint about the game. The very idea of The Heart is ultimately rendered redundant by the fact that whenever you near a particularly rare item then you’re prompted to use The Heart to find it - meaning you learn to rely on those prompts instead of examining your situation. 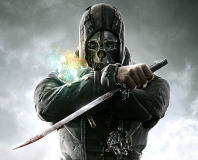 While Dishonored was definitely an amazing game though, that didn’t really come as a surprise – I’ve been following the game closely for years now and what I played only really confirmed my expectations about its excellence. Larian Studios' Dragon Commander caught me completely by surprise, expanding greatly on the sizable promise that I'd seen last year and showcasing both the multiplayer and strategic elements. Larian were also showing off the original boardgame they designed as a prototype for the game, though I sadly didn't get a chance to play it. Again, a quick recap; Dragon Commander is based in the Divinty franchise, but acts as a prequel that's essentially standalone. You're cast as a young prince whose life is thrown into turmoil when his Father is murdered (regicide is a popular topic, it seems) and his people plunged into war. Taking charge of your flying palace/battleship, you set out to conquer your enemies. What makes Dragon Commander a little bit special is that, like Dishonored, it's a fusion of mechanics and systems to make a fundamentally new type of game. As the prince you must manage the grand strategy of your conquest, but must also make time for inter-personal affairs by calming arguments with your advisors, wife and so on. Battles too are multi-faceted, giving you the choice to either just plan the strategy or enter the skirmish personally on your dragon. What Larian has accomplished with Dragon Commander is nothing short of stunning given the size of the team, with graphics and style enough to rival AAA games and enough nuance to shame those competitors outright. It's a wholly original take on a bunch of old ideas and if that weren't enough then the simple glee of multiplayer strategy/action battles on jetpack-wearing dragons remains to spice things up. There were a lot of other great games at the show this year, with stiff competition from the likes of Infernum's Project Theralon and Square Enix's Hitman: Absolution. What sets these two apart though is the precision of their vision and the simultaneous closeness to that and the advances they've made in the last twelve months. I for one will be waiting eagerly for them to finish this final stretch - and I'd advise you to keep a close eye on them both too. 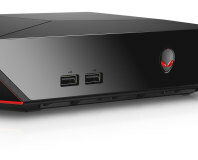 We round up the latest hardware and peripherals shown off at this year's Gamescom.